What Is A Bell’s Palsy Facelift? 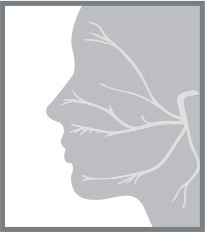 A Bell’s palsy facelift is a unique procedure performed to bring improved facial symmetry to individuals who are experiencing symptoms of the disorder, including a downward pull on the affected side of the face around the lips, cheeks, and eyes. The procedure is quite similar to a traditional cosmetic facelift, however Dr. Azizzadeh can address the specific problem areas affected by Bell’s palsy and improve facial balance by focusing extreme attention to detail to make the two sides of the face appear even. A Bell’s palsy facelift can also address synkinesis that often occurs when the disorder is present, also known as involuntary muscle movements or twitches in the face. You might be a great candidate to undergo this type of procedure if you are experiencing short term or long term Bell’s palsy, but aren’t quite ready to undergo more invasive facial reanimation procedures like the Gracilis muscle transplant or a hypoglossal nerve transfer. 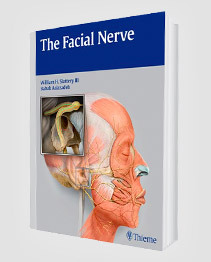 It’s important to remember that while a Bell’s palsy facelift can absolutely diminish the appearance of a lagging face, the surgery does not promote improved facial movement because no work is done with the facial nerve. 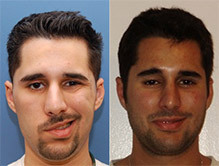 Because Bell’s palsy is a unique disorder in that many individuals, nearly 90%, regain facial movement on their own over time, the choice to undergo the procedure is entirely up to you. However, Dr. Azizzadeh encourages all individuals suffering from any form of facial paralysis to learn about all of the surgical and non-invasive treatments that can help them improve facial symmetry while waiting to overcome their condition. Suffering from Bell’s palsy can prove difficult and stressful, but we at the Facial Paralysis Institute believe that we can help you overcome the condition through a number of both surgical and non-invasive procedures, including Dr. Azizzadeh’s innovative Bell’s palsy facelift. If you’d like to learn more about undergoing treatment in Beverly Hills, we encourage you to contact our medical practice today by calling (310) 657-2203 to schedule your initial consultation. 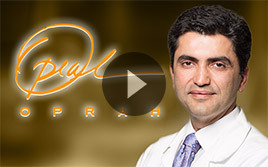 During this time, world-renowned facial paralysis surgeon Dr. Azizzadeh will be able to develop a completely unique treatment plan to meet your needs. For additional information regarding the different facial paralysis and Bell’s palsy treatment plans available to you, contact Dr. Azizzadeh today.